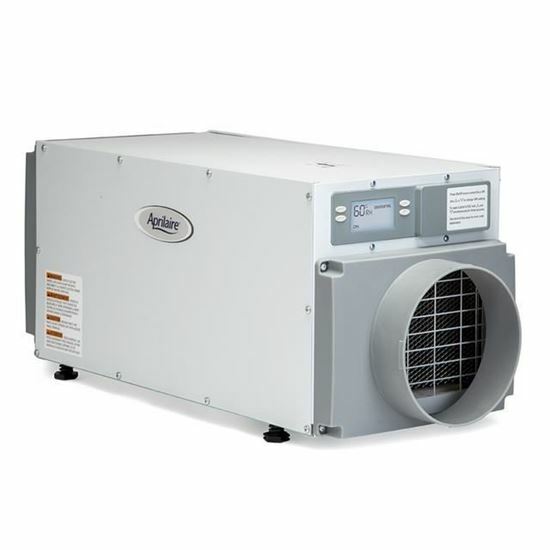 The Aprilaire Model 1820 Dehumidifier is the perfect solution for controlling humidity in basements or crawlspaces; protecting against structural damage, pests and mold. This model offers the same valuable feature sets available with our existing product line but in a more compact footprint. Built in the USA using quality anti-corrosion components, and includes the best warranty in the industry. With this 5 year bumper to bumper, you can install the Aprilaire knowing that you will have cleaner air, reduced risk of mold, controlled humidity levels, increased energy savings and years of worry free service. The 1820 delivers 70 pints of moisture removal, per day.